Suri Cruise and Katie were seen arriving at LAX airport on May 27th 2014.
outfit info: new dress!!! and red patent ballerinas by bloch. Suri Cruise pictured leaving The Avenues School in NYC on Monday, May 19th 2014.
outfit info: dress by bonpoint, jacket by moncler, shoes by venettini. 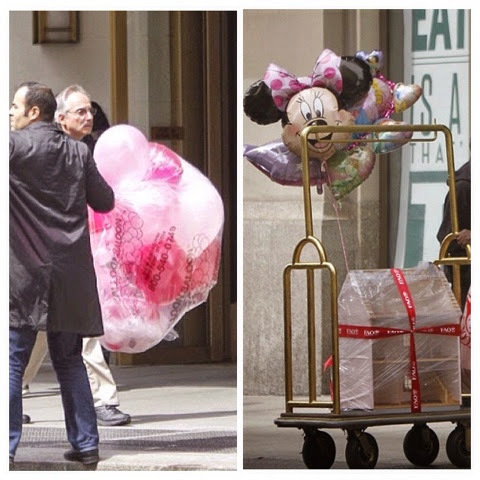 Suri Cruise and Katie went shopping to Disney store in NYC on Wednesday, May 14th 2014. Suri was clearly very exited about her shopping new toys! Suri was wearing her usual school outfit - white blouse, uniform skirt, grey cardigan by crewcuts and shoes by start rite. 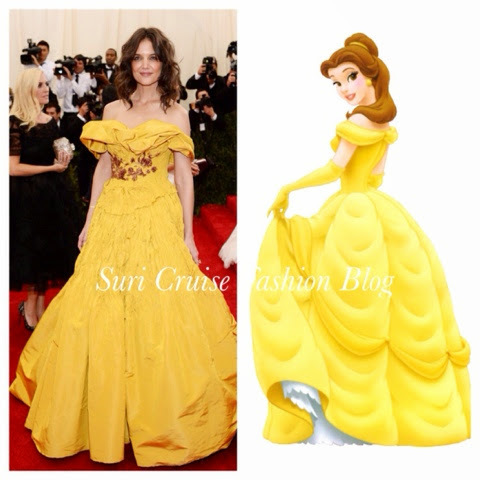 Katie Holmes was wearing a dress by Marchessa while arriving to #metball2014 gala in NYC on May 5th. 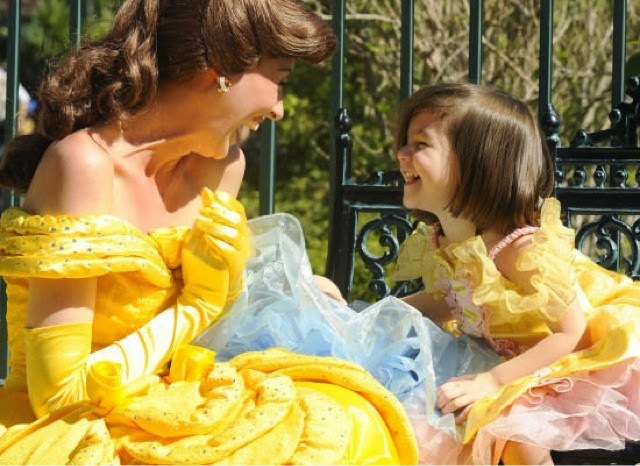 Suri's love for Belle from Beauty and The Beast dates back to 2009! Suri Cruise and her besties went to get loads of sugary treats at It'Sugar candy store in NYC on Sunday, May 4th 2014. Suri was wearing Pink & Cream Diamante Flower Dress FW13 by Monnalisa. Thanks to Tia for the photo! and check out New SS14 collection from Monnalisa - it's gorgeous! Suri Cruise was looking rather upset while leaving The Avenues School in NYC on Friday, April 25th 2014. Suri was wearing White Eyelet Shoes by The Children's Place. 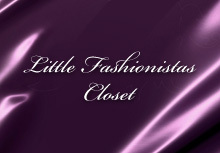 outfit info: dress by Bonpoint, coat by Crewcuts. Suri Cruise and friends pictured enjoying ice-scream after school in NYC on Wednesday, April 23rd 2014. Update: April 2014: Happy BirthDay, Suri! Katie made sure Suri's 8th BirthDay Celebration was perfect! It was a cupcake party filled with pink balloons and loads of gifts from FAO Schwarz! It was a busy weekend for Suri to celebrate her 8th BirthDay and Easter. Suri & Katie were spotted heading to Easter brunch with friends in NYC on April 20th 2014. 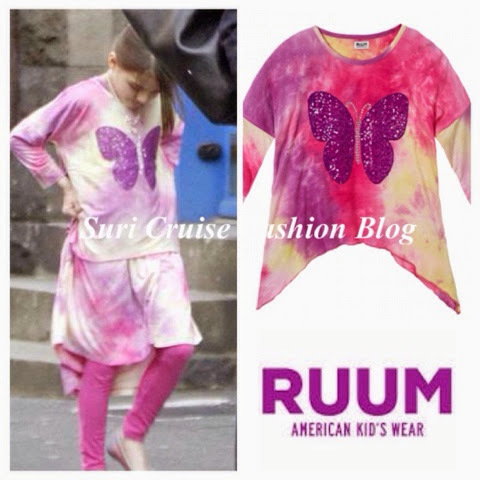 Suri was wearing Tye Dye Sequin Butterfly Top and matching Dress both SS14 by RUUM. outfit info: Liberty Print Ballet Flats SS'13 by Crewcuts.